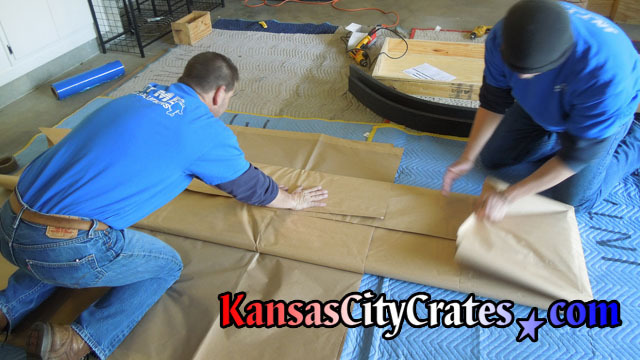 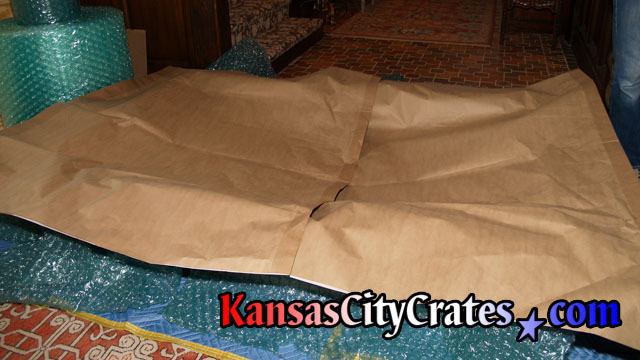 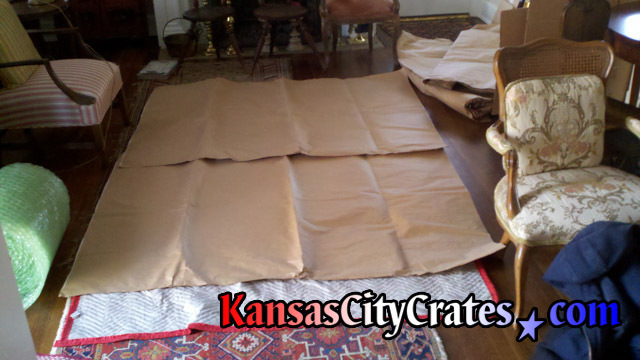 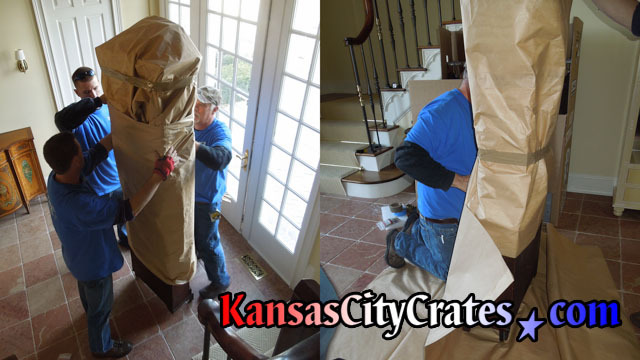 Paper Wrap is usually the first layer of protection for almost all items crated. 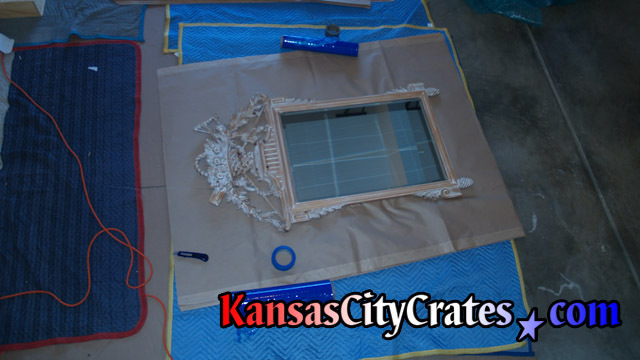 Sometimes "tissue wrap" and/or "acid free" paper is substituted for delicate and antique finishes. 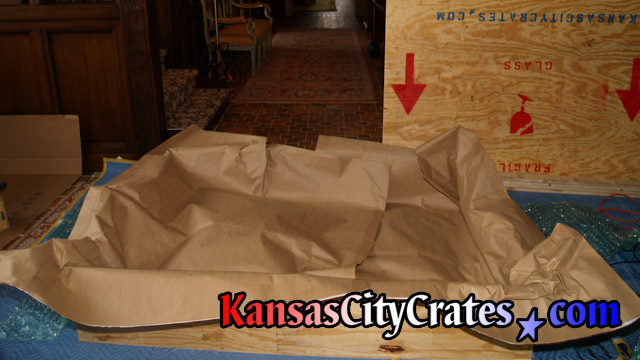 Paper wrap prevents smudges and finger prints on the item being crated, and also acts as a layer of shock absorption while in the crate.